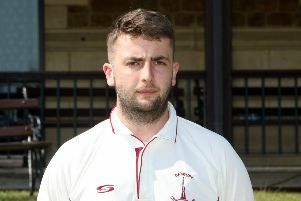 Tom Goffe top scored as Sandford St Martin beat Banbury in Tuesday’s Banbury Indoor Cricket League division one fixture. Sandford made 128-4 with Goffe 42no and Martin Anson 32no top scoring while Ollie Murrey picked up 1-44. Dan Smith took 2-33 as Banbury could only reach 89-6 with Immi Mohamed 25 top scoring. Hook Norton beat Shipston-on-Stour by three wickets. Tom Rothwell took 2-39 as Shipston made 84-6 with Marcus Ireland 31 top scoring. Hooky passed the target in the ninth over with Tom Bartlett 26no and Adam Bennett 20no leading the way. Cropredy beat Ruscote by 58 runs. Luke Cherry 40 and Joe Fox 27 helped Cropredy to 128-6. Russ Becket 1-6 and Ed Somerton 1-17 did the damage while Imran Hussain 32 top scored for Ruscote. Great & Little Tew beat Broughton & North Newington by 43 runs. Joe White 36no, Lawrence Brock 25no and Harry Smith 25no helped Tew to 130-3. Lloyd Brock took 2-20 as Newington reached 87-3 with Jamie Abbott 27no and Don Patterson 20no top scoring.